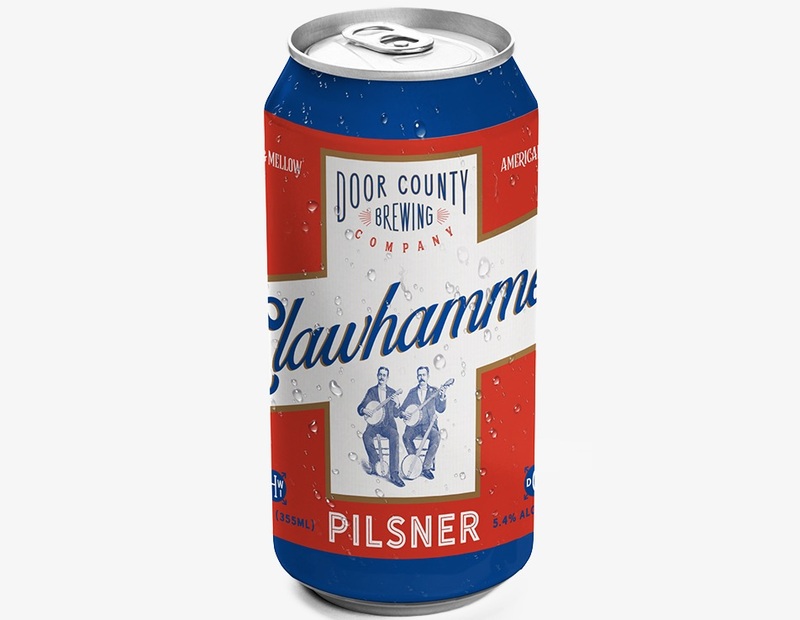 (BAILEYS HARBOR, WI) — Door County Brewing Co. is thrilled to announce a new addition to their year-round lineup, Clawhammer Pilsner. Clawhammer is a classic German-style Pilsner brewed with an American point of view. Clawhammer was brewed in late February and will start seeing distribution this week across Wisconsin. Clawhammer Pilsner is available in six packs of 12 oz. cans and in half and sixth barrels from Wisconsin Distributors Inc., Flanigan Distributors, all Badger Beverage Alliance distributors, and La Crosse Beverage. Six packs of Clawhammer Pilsner will be available for to-go sales at the Door County Brewing Co. Taproom & Music Hall starting this week. Clawhammer will be tapped this week at Flying Hound Alehouse in Madison and Drink Wisconsinbly Pub & Grill in Milwaukee and will see wide distribution across Wisconsin in the coming weeks.